Teenagers in Bristol are among the first in the country to be invited to sign up for bone marrow donation. The city has been chosen by the Anthony Nolan Trust for a pilot scheme that encourages young people to consider giving blood, bone marrow or organs. 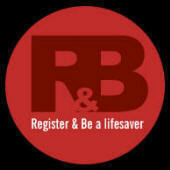 The Register & Be a Lifesaver campaign was launched at Cotham School's sixth form this week. It was inspired by Adrian Sudbury, who spent his last months before his death from leukaemia, at the age of 27, calling for better education and information for young people on the importance of bone marrow donation. His Baldy's Blog caught the attention of Gordon Brown and Health Secretary Alan Johnson, both of whom Adrian met. Adrian's mum Kay Sudbury told the sixth-formers her son's life had been prolonged for more than a year after he received a bone marrow transplant. She has now taken on her son's mission to dispel myths and misconceptions about the process so that teenagers can make an informed choice. Mrs Sudbury was backed by Bristolian David Gate, whose 15-year-old stepdaughter Yvette has been waiting for a donor match. Yvette, a pupil at Redland High School, has aplastic anaemia and Mr Gate said yesterday: " She is on borrowed time. She has to have platelet donations every week to 10 days and red blood transfusions every four to six weeks. There is no one on any register worldwide who is a match for her at the moment.The students heard that 400,000 people are on the Anthony Nolan Bone Marrow Register, including 3,244 from Bristol. Mr Gate said Bristol had been chosen for the pilot project because of its racially diverse population. There is a particular shortage of donors from some minority ethnic backgrounds, which has made finding a match for Yvette, who is of African-Caribbean background, particularly difficult. Teenagers are being targeted because 17 is the age at which they can start giving blood and can register as organ donors, often when they apply for a driving licence, but anyone aged 18 to 40 can join the Bone Marrow Register. Those who sign up will be required to give a teaspoonful of blood. If they are found to be a match for someone, giving a donation takes three to four hours. Blood is taken from one arm, the stem cells are harvested and then the blood returned to the other arm. Other Bristol schools and colleges, signed up to the campaign are Merchants' Academy, Brislington Enterprise College, North Bristol Post 16 Centre at Redland, and St Mary Redcliffe and Temple School. Further details can be found on www.randb.org.uk. Conlan Murphy, 16, said that although he had a friend who had leukaemia, he had only a vague idea about the illness and its treatment before hearing the talks and viewing the films, He said: "I realise after this that my friend is still here because of people who were willing to give blood or maybe bone marrow. Perhaps I could do the same for someone else. " George Sweet, 17, said that although his brother worked for the Blood and Transplant Service in Bristol he had not realised what was involved in bone marrow donation. "I thought it would be more painful," he said.